Please visit JNTO adn view some videos "Japan Now" messages! 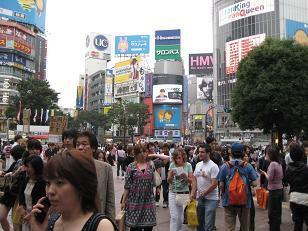 The research said that most tourist only visit, TOKYO, KYOTO and OSAKA in Japan. Takayama, Kanazawa-----oh, don't forget SHIKOKU and KYUSHU. If you are going to Hiroshima, why don't you visit TOMONOURA, the most beautiful fish village? Iya Gorge and take a cable car to take a bath on the top of the mountain in Tokushima, Shikoku? Nice afternoon walk at Mt. Koya in Wakayama? Include NAOSHIMA, if you are ART lovers ! Please call us now for your travel plan!! Do you want to stay in Tokyo and enjoy the luxury Hot springs? Selected as The first class hospitality by Forbes Travel Guide 2016, Hotel Chinzanso Tokyo (formally part of the Four Seasons Resort Group) has a special Room and SPA package! We were asked to recommend the best SPA or Onsen (hot springs) for Day VISIT in Tokyo frequently and we recommend here! But now, your rate of 34,000JPY per room per night include the complimentary SPA & Onsen use! It is an amazing value that we truly are impressed with the hotel management to do this! You enjoy not only the SPA and Onsen, but also the beautiful garden and surroundings. For your next stay in Tokyo, why don’t you call us? The dirct bus service from Kansai Airport to Mt. Koya (Koyasan) now! Starting on April 1 2016, a new direct bus service offers a daily round trip between Kansai Int’l Airport (KIX) and Koyasan, one of the UNESCO World Heritage Sites in Wakayama prefecture and a popular tourism destination. Blessed with rich nature, spiritual culture, and 1200-year history, Koyasan is a sacred place for Japanese Buddhism, famous for its Pilgrimage Routes as well as number of temples and Buddha Statues. 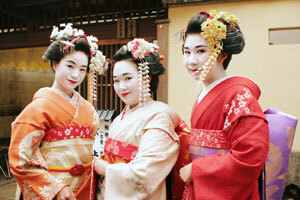 We do arrange your clients bookings for Japan for YOU. Very helpful site I found - 11 extremely practical Japan travel tips. For you, we are making one week package now! We will post it when available! Have you checked www.gotokyo.org/ ? I want to thank you for all the excellent arrangements you made for us. We had a wonderful time and all your connections worked out perfectly! The Ritz Carlton in Kyoto was fabulous. 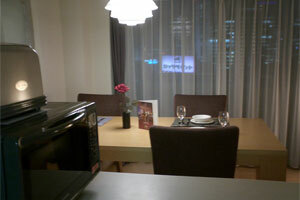 We also enjoyed very much the Hotel Cerulean and got around Tokyo quite well from that location. The tour guides were excellent and so professional and helpful. It was so nice to email you while we were in Tsukiji to let you know that you did wonderful job! Japan Rail Pass : We can mail them to you! Due to the new JR Pass rules, for the passengers flying on JAL, we can issue it here while you wait. For other carrier, we need three days advance notice, sorry. Here is your perfect chance to visit, Mt. Koya, Kumano Road and Ise Shrine named the Secret Path of Japan. You stay at a real temple, hot springs and sleep in cozy lodges with ocean views. Experience a serene morning chant, followed by a quiet mountain walk and then relax in a mountain hot springs. 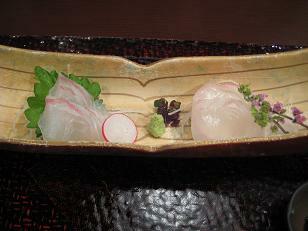 Taste Japan’s famous temple vegan food and exquisite sea food from the coast of Kii Peninsula. It will be the unforgettable trip that you have been waiting for. 7:00pm Orientation-Stay overnight at hotel in Osaka. Arrive at temple in Mt. Koya by noon. An experienced English speaking guide will welcome you! 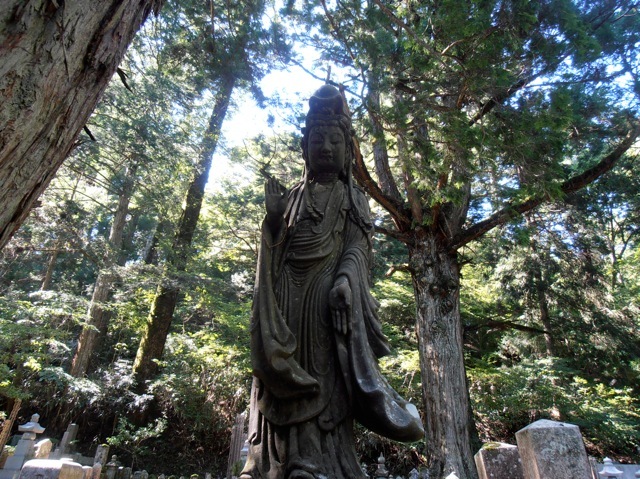 Visit Okunoin – world heritage site – the serene, quiet and yet divine setting surrounded by tall ancient cedar trees. Attend the early morning chant at the temple, then eat a specially prepared hot breakfast. Stay overnight at Fujiya Ryokan, Kawayu Onsen. After breakfast, get on shuttle to Hosshinmon Oji. Arrive at Kumano Hongu Taisha, visit Hongu Heritage Center, then stroll down Oyunohara Path through the giant Torii Gateway. Stay over night at Fujiya Ryokan, Kawayu Onsen. After breakfast, drive to boat launch. Visit Kumano Hayatama Taisha, then move on to Katsuura. After lunch, visit Daimonzaka, walk to Kumano Kodo Daimonzaka. After breakfast, take a ferry back to Pier. Upon arrival of Ise shi, visit Ise Shrine, GEGU (Outer Shrine) first. Enjoy Okage Yokocho and browse unique shops right along Naigu. After breakfast, the tour ends at Toba. Transfer back to Toba, then head to Kansai Airport, or go on to Kyoto or Tokyo. December 2 - Jan. 18,2014. Still, you can go to Fish Market Alley-Uogashi Yokocho and enjoy shopping and eating! We just had a visit from Sales Representative from luxury hotel in Tokyo! It is the re-born of historical Palace hotel right in front of Imperial Palace. With the fabulous view of Imperial Palace, you may forget the busy schedule. Some clients commented, " It is worth coming to Tokyo just to stay here"
Within the 17 acre of private gardens, you can enjoy the luxury service at the reasonable cost. You may forget that you are in city center of Tokyo. While rack rate is from 47,300JPY , Class One Travel's contracted rate offers from 25,300JPY. Well known and one of most traditional hotel in Tokyo offers spacious room for winter 2013. Today’s rate: $1/102.98 JP ---WOW! Shibuya is so popular among HIP Hop FANS, fashion people among Young Generation! Well, when I visited to Tokyo with 47 other travel agent from 10 other cities, we checked latest Shibuya~! I thought SHIBUYA is too busy and too noisy, but I found it is very fun this time! Now we can introduce the beautiful Cerulean Tower hotel's promotional rate for this fall. Now to September 13, they do have a promotional rate. It may extend! Here is our just born “SHIBUYA PACKAGE”! includes 2 hours private consultation before your visit! Will be $880 per person sharing one room with two! Visiting KOYASAN ~We went to KOYASAN September 2011~Here is the report! We sent many clients to KOYASAN (Mt. Koya), but I have never been there myself. Recently, a music CD my friend gave me was called KOYASAN by Deuter; a nice painting at my cousin’s living room is also titled KOYASAN..so, I thought ~maybe it is time to go! So, finally I went there this September. Would I like to go back ? Yes, yes, yes. Here is what I think and I hope this information makes you feel like going too. Do you remember when you go to Point Reyes; on the way, you go through a small grove of redwood trees? There are Giant Cedar trees on both sides of the high way, clean air and a nice sweet breeze. The Okunoin at Koyasan is just like that with old stone statues, over 1000 years old nestled deep inside a magic forest. Koyasan is a major power spot in the temple town of Wakayama prefecture. You can choose to stay among 117 temples that offer lodging. There are no super markets, neon lights, nor entertainment centers like in Tokyo. But there are places to rest your spirit in Koyasan. Your vegetarian breakfast was prepared with local vegetables and soy products. Koya dofu~freeze dried tofu and Goma Dofu (Tofu made of Sesame seeds and Kuzu-roots a kind of potato) is famous from this area and is a staple temple food throughout Japan. After breakfast, you start your walk or take a local bus to Daimon( The big gate). At the end of town, there is the huge red gate. This is the starting point of Koyasan. Off to the side, a path circles the town- NYONIN DO (Women’s road). Historically, Koyasan prohibited women from entering the village, but women could walk around perimeter of the temple town through NYONINDO pass and they often did, just to feel the energy emitting from the valley bellow. The Nyonindo was damaged by the typhoon and is hard to walk on now so we had to save this adventure for our next visit. If you walk through the Daimon (Big Gate ) you soon arrive at Danjogaran. The glowing red structure you see is a clear contrast with the natural wooden structure of Mieido Hall that shares the courtyard. After walking through Kongobuji Temple I want to spend more time at OKUNOIN. If you spend half of the day at Danjogaran and Kongobuji area you may want to have lunch before you head for Okunoin. 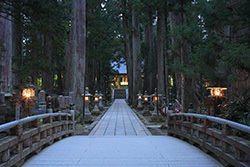 Okunoin is a 2Km long, a stone pavement pass with thousands of graves. You will find the legendry famous shogun’s and swordsman’s grave such as ODA Nobunaga, TOYOTOMI Hideyoshi, DATE Masamune, AKECHI Mitsuhide, UESUGI Kenshin, TAKEDA Shingen, ISHIDA Mitsunari and many more. Oh, Sugen-in (OGO) and Sen Hime’s tomb, the largest of them all is also there. The naturally preserved gravesites are surrounded with green moss and fern leaves, it was really beautiful. You hear birds singing among the pass and the soft sunshine mixed with a fresh clear breeze helps your mind is getting quieter and quieter. Turning back the way you came you can hear bells ringing just like in the music KOYASAN by Deutur. The book said that there are over thousand souls sleeping in Okunoin, well I think those sprits have already reached their universal destination. There is a serene sense of peace among the quiet samurai. If I can describe the color of the feeling, it is clear ~totally clear. You can spend two to three hours easily wondering through the woods or even a whole day. We took some side paths deeper into the wooded area and discovered more graves tucked away in cozy glens. You are just drawn to these cleared out spaces, they bathe you in sunlight and warm your soul in a special way. Walk back slowly to your temple lodging. Enjoy an early bath and dinner, again a wonderful vegetarian feast. The local sake was also a delight! We tried drinking the sake cold one night and hot the next night. There are some wild mushroom slices prepared like sashimi, tofu skin sushi, cooked turnips and egg plants ~ those heartfelt meals were absolutely delicious. At night, you can take a class of SHAKYO where you sit and trace the Chinese characters of the written chants on rice paper with a brush pen. The monk explained what this chant means and shows you what to do. In the quiet room all you hear is your brush strokes on the thin rice paper. You go to bed maybe by 10pm and wake up early again the next morning for the 6:00am sitting. During the night you hear nothing, just the moon shining bright on Koyasan. From Tokyo, it will take about 5~6 hours including transfer and connecting time. When you start planning to go to Japan, you should get excited! Or go to Akihabara Electronics Town or Animation Town? What about Tokyo Shitamachi Bus? If you want to go to Japan, let us arrange your trip~! It will be the one to remember forever!! By the way, do you read CHRONICL SUNDAY PAPER? There are THREE TOKYO SPECIALISTS whom the City of Tokyo REP. recommends. WE are one of them! It was on Nov.28th Sunday paper and will be again on Dec.5th Sunday paper, too! Here is the Tokyo Stop Over package we recommand! Looking for Business Class Discout fare to Japan? Please visit our airfare page. Arrive at Haneda or Narita Airport. Private Airport transfer to your hotel. The driver has your name and will be waiting for you at the arrival door with a sign. Your dinner location is depends on the time you arrive at the airport. Have your first breakfast at the Sushi Daiwa? You have to be ready to wait for 30~40min. to get in. If it is still early, taxi back to your hotel to fresh up. Around 10am, leave your hotel for Tokyo Station where you can get on the Shitamachi Bus. This bus stops at a lot of very interesting places in downtown Tokyo. From Tokyo Station, the first stop you take is Akihabara (Electric Town). You can check out Japan’s latest electronics or cameras among over 100 shops. After that, hop back on the Shitamachi Bus and get off at Kikuyabashi where you can walk through the Japanese kitchen-ware district where some of the best Japanese knives are sold. You can walk through Kappa Bashi to Asakusa and visit Sensouji Temple, the oldest temple in Tokyo; have lunch nearby. Get back on Shitamachi Bus to Kuramae and Oedo Tokyo Museum, or if it is a nice day, you could get on the FERRY boat and head to Hamarikyu Garden. After breakfast hop on the train and get off at Harajuku Station. This place is famous for its young style & fashion. You can also visit MEIJI SHRINE. If you walk along the pebbled walkway all the way to the shrine, it is a very relaxing and meditative stroll. Meiji Shrine is one of Japan’s most famous Shinto Shrines. It was built in 1915 originally. After that if you are interested in seeing the Ukiyoe wood block Print collection go to the Ota Museum. After spending one hour at the museum walk along Omete Sando Street., the most beautiful street in Tokyo. This street was influenced by the layout of Aix-en-Provence of France. You can stroll around the designer shops or unique cafés and walk all the way up to Aoyama Street toward NEZU MUSEUM. Even when you are right in the heart of the busy fashion district, you can find a quiet and serene spot to yourself at the NEZU MUSEUM and garden. When you walk in the garden, you will see a pond with the boat and you feel like you are in the country side. There are so many one of a kind and special restaurants around the Aoyama Area. You can take a break at YOKU MOKU for a nice cup of coffee or tea along with their famous sweets. After the museum, you can hop on the Ginza Line subway to Shibuya. Experience the busiest intersection in Tokyo and famous HACHIKO DOG Statute (from the movie HACHI) right at the station. From Shibuya, you can take a taxi to Hiroo. (taxi cost $20) Have dinner at KIRAKU, Hiroo (03 3444-8971 need a reservation) where the master chef treats your taste buds to a traditional Japanese Kaise bars and they are open till 2 or 3 am or some places opens till 6am. Try tradki meal. The place has a modern interior and it’s reasonably priced. For night life option-go to Azabujuban at the out skirts of Roppongi. Both places have good restaurants anditional Yakitori at ABE-CHAN or authentic Asian restaurants nearby. There are so many, you will not find any bad ones. Also you can get a massage at a reasonable cost. Book fans: Go to Kanda furuhon machi(Second0had books Area). You may find very interesting books and prints there. Walk toward Ochanomizu and saunter through the musical instrument area. Hot Springs: Vast Ooedo Onsen Monogatari at Odaiba to relax at a hot spring theme park. Those of who do not have time to spend in the country side hot springs, just imagine you are there. After the Onsen, you can drop by Palette Town for a variety of restaurants. Ginza Window Shopping: Just walk along Ginza Street and see the store fronts, drop by Kyukyoudo for beautiful washi paper. Between 1-chome/Ginza Street and Shimbashi, there are many signature shops and restaurants. 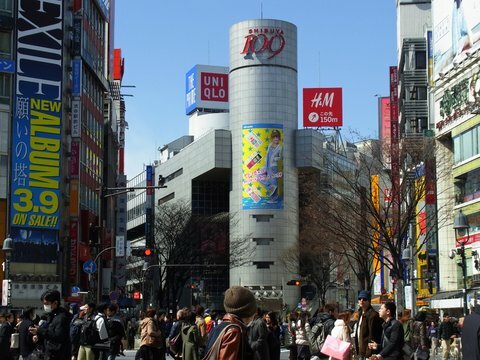 “Ginza” became the synonymous for the word for main street in many other cities in Japan. You may visit IDEMITSU MUSEUM for the nice selection of Japanese arts. Maybe stop by the Peninsula Hotel for an afternoon tea service with scones and sandwiches in traditional English style. Student Town of Kichijoji: If you want to see a more local spot, try visiting Kichijoji by JR line. There are so many reasonable nice one and only shops and restaurants. 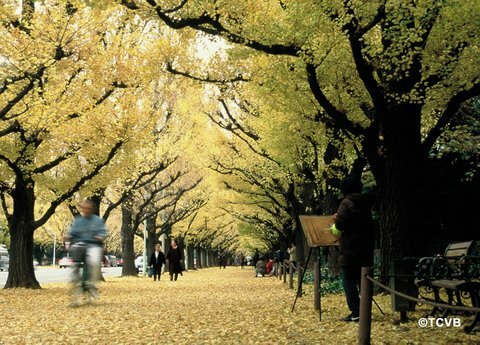 Take a short bus ride to Inokashira Koen-Park for nice walk. You can try eating a local Soba shop right next to the park. On the way back, drop by Shinjuku. We do arrange everything for you including airport pick up and dinner reservations. Personal itinerary and private tours. Our fee is only $75 per person for four days~day by day schedule. *Below is the Last Year's Tour sample. It was a small group and we had so much fun. We ate, walk, and laugh!. Righ now, we are planning for 2011 tours, it will be even more fun. I have been thinking that the two most beautiful times to visit to Japan is early April and the middle of November. In April, you may encounter the soft pink cherry blossoms everywhere and you see many people appreciating their intoxicating effect..
We put these special places together for you to enjoy in the big city like Tokyo and beautiful Kyoto. On the top of it, we offer the Ise Jingu where is know as the Japan's Power spot . Many people visit and thank thier health. There is the street called "Okage-yokocho" , also visit Mt. Koya (TBA) that is known as one of UNESCO's World Heritage sites. We are looking farward to this temle stay. We include a variety of accommodations from hotels, ryokan, temple and traditional Kyoto Town House. This will be a great introduction for you to experience and enjyo old culture and new trends. The number of tour members is limited to 10 people and we will lead this tour! We hope you can join us on this fabuous tour! Leave San Francisco for 11 hours flight. breakfast will be served two hours prior to landing. Enjoy your own TV at your seat. How about dinner at Japanese style pub "Izakaya"
That night: Dinner at Kurosawa, they serve the famous movie director, Kurosawa's favorite food. after checking at the temple, you walk around, or meditate or go around other temples. Enjoy specially made Vegitarian Temple food. 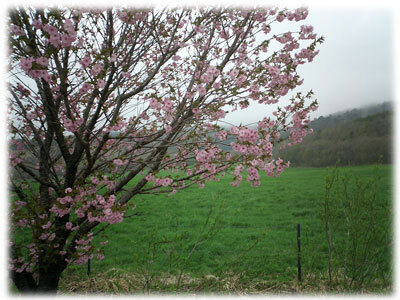 You will enjoy the beautifu cherry blossom of the ancient City of Kyoto. 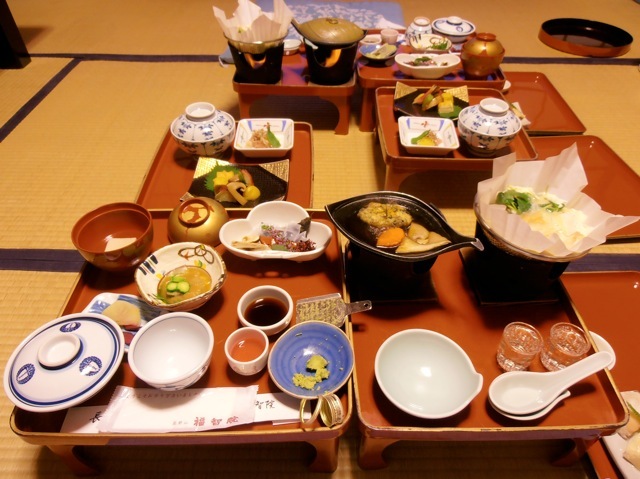 Your accommodation's will be at a traditional town house ~Machiya. We charter mini bus to go around the golden pavilion, Ryoanji Stone garden, drop by Sagano, the to Kiyomizu Temple. or Visit Kyoto's famous sake brewery in Fushimi Area. Leave Kyoto around 2pm via the super speed bullet train. Arrive at Tokyo around 5pm. Leave Narita for 8 hours flight home. morning: Arrive at San Francisco. (For Haneda departure, you have a Full day in Tokyo. Group size: up to 10 people. Transportation between Airports and nearby cities. Train tickets. Special Walking tours in Tokyo and Kyoto. Special visit to sake brewers in Kyoto. 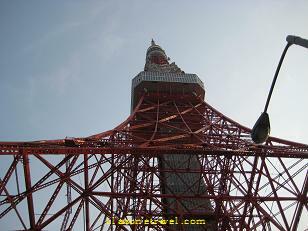 Hotel accommodations :Tokyo 4 nights/Ise Jingu 1 night/Mt.Koya Temple 1 night/Kyoto 3 nights. Meals: 6 breakfasts and 2 dinners. Here are valuable tips when visiting Japan. I am sure this page will inspire you to plan your adventure in Japan. 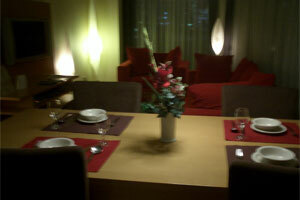 Day 2 Arrive at Narita, take an airport shuttle bus to these nice condominiums at Minami Aoyama, Roppongi, Azabu Juban. These modernly furnished condominiums are located 5 to 7 minutes from the nearest train station. Choose from a variety of layouts: some units come with spacious living rooms, bedrooms and dining rooms. You can also cook up a great meal in your fully equipped kitchen. Of course, you can always enjoy all kinds of restaurants and bars nearby. You can really feel like you are living in Tokyo! It is the city of treasures and you never get tired of its magic. Can you imagine staying in a museum? The island itself is a museum. The museum is in Kagawa Prefecture, at Naoshima Island in Shikoku, 40 minutes from Takamatsu Port and 20 minutes from Uno, just a ferry ride to Naoshima Island. A land filled with art. 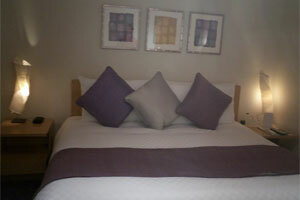 While you stay and enjoy all different kinds of art including the Art House Project. The renowned Isamu Noguchi Museum (stone carving master) in Takamatsu. If you wish, there are hidden secluded Hot Springs in Iya Gorge. Why not experience a totally different visit to Japan for your next trip? From 5 to 50 a reflective look into the past and present Japan. Japan 45 years ago had much less presence here in the U.S. No, Toyota Hybrids, Lexus luxury cars, Makita drills, walkmans or sushi on the cafeteria menu. Back then Japan was different place, in a different era, a different world for a little five year old from El Cerrito CA. I have lived in Japan and traveled there over the years countless times and this is a story of three views of Japan to show you how Japan has changed in a thousand ways and what hasn’t changed for a thousand years. At five, I lived near a creek in the El Cerrito hills. There were plenty of frogs and minnows in the fresh water and we would spend all day catching them and taking them home as pets. I was surprised that there were even more frogs in Japan when I first visited Tokyo. Frogs leaping all over the street and gardens right in the middle of Wakabayashi-Setagaya in Tokyo, my grandfather’s home that was within a few miles from the heart of the big city. It was hot and humid, a summer of incredibly loud and amazing chirping "semi" cicadas’. What else do I remember beautiful gardens, nice cool Calpis drinks and lots of neat toys made of metal in the shapes of sparkling space guns and airplanes. I wore shorts probably the whole time I was there. At five, it seemed Japan was a land of contrast. How could so many bugs and creatures live around so many people in the city. How could they surviving?, I thought. Japan twenty years later was a completely changed world from a kid’s point of view. When I visited the house in which my grandfather lived I noticed the frogs were gone and so was my grandfather. It was summer again, hot and humid, but only the Semi’s cicadas loud chirping could be heard. They somehow seemed sad and alone without the harmony of the frogs, calling out only to themselves now. Well, who has time for frogs anyway, when you are twenty-five and running around Tokyo loose and fancy free and the yen in 1981 is trading at 221 yen to the dollar. One dollar went a long ways back then. From the U.S. perspective, this is what was happening in 1981. Iran frees 52 American hostages, Pope John Paul II wounded by gunman, President Ronald Reagan wounded by gunman, Oakland beats Philadelphia in the Superbowl, Raiders of the Lost Ark is released and Christopher Cross is singing “Sailing” on the FM dial. What’s happening in Japan? At twenty five, you start appreciating all of the ancient art, the temples, well swept streets, safe walks at night wherever you are, great food, and tasty beer. Oh yeah, and sushi to write home about. Remember 221 yen to the dollar! However, being on a tight budget I couldn’t completely paint the town, but there was still plenty of partying and bar hoping into the wee hours of the night. Now at 50, I visited Japan once again and it still holds onto the mysteries of the past. Temples in and around Tokyo have been incredibly preserved, and yet a bit harder to find, but when you do they are even more shocking to see peeking out between modern concrete designs. The food is even better, or maybe now food over disco I prefer and seek out the gastronomic delights that both city and country side have to offer. There is still sushi to write home about, but also about every kind of Japanese and international food available, and this is just in the amazing department store basement food bazaars! Did I mention bar hoping in Roppongi? That’s still fun, but watch your budget the yen is down to 123 per dollar.